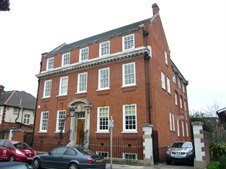 Cattaneo Commercial have just let a 565 sq ft office suite in The Old Telephone Exchange, an attractive character office building in Compton Road, Wimbledon to a tax consultancy practice. The building is now fully let. If you have office premises to let in the Wimbledon area please do not hesitate to contact Cattaneo Commercial on 020 8546 2166.